Three is the magic number! Here are 3 recent quilt finishes, quite different in style, and a little needle book for the cuteness. 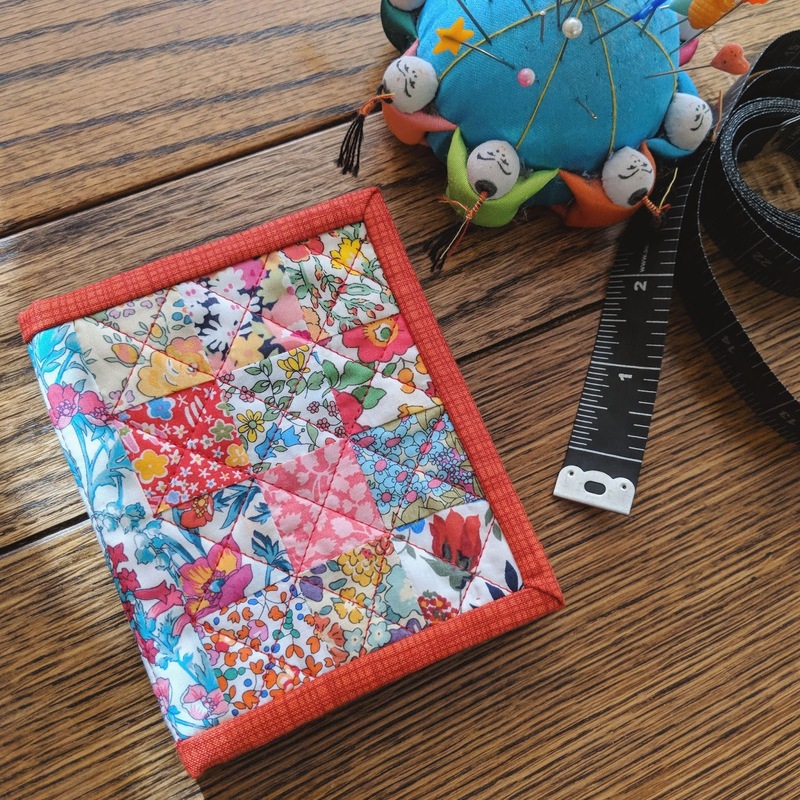 These were all made for Sewing Quarter, you can catch up with the shows on YouTube and if you keep reading you'll reach the clip I've included that shows how I bind (I'm making the needle case but I sew binding on quilts the same way!). 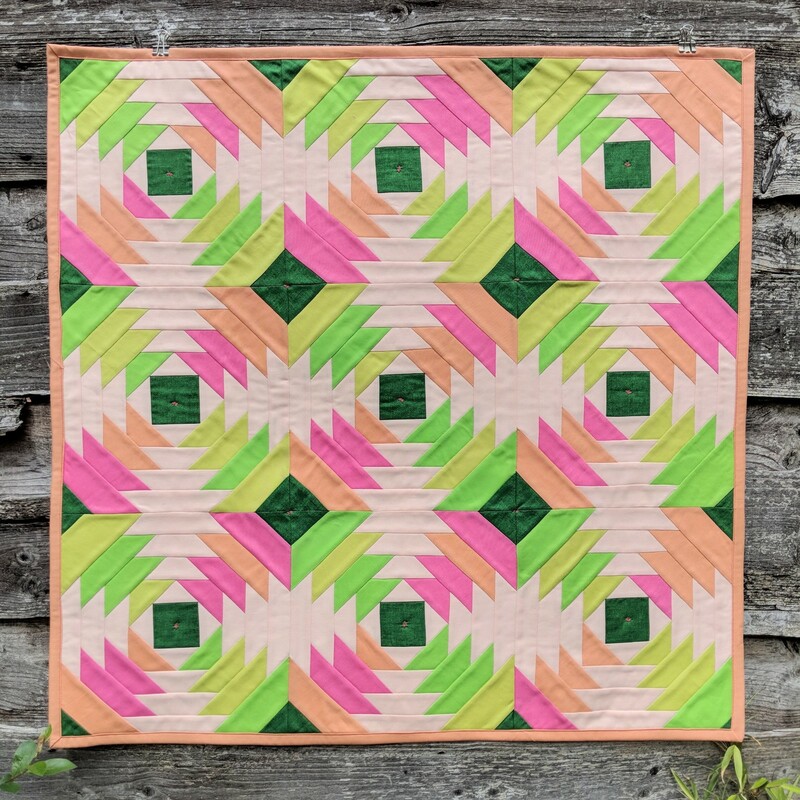 This quilt is my Mai Tai Pineapple quilt, so named because the bright colours reminded me of tropical cocktails as I was making it! The Creative Grids Pineapple Trim Tool allowed me create blocks from strips and then accurately trim so each 'round' of the pineapple is perfect. I did make a couple of errors trimming a couple of the final rounds but after all that piecing I just made them work as best as I could. Overall I still love this quilt so much. The colours are fabulous, all Makower solids and the darker greens in the centres and outer corners of the blocks makes a nice contrast. 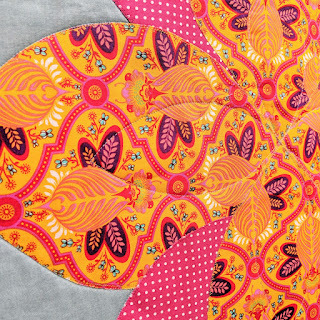 There is so much movement in the quilt, all those lines are quite mesmerising. 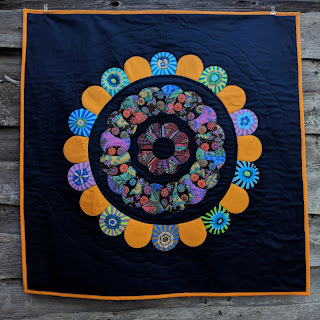 This style of quilt as been on my 'to sew' list for a long time and I imagine I will make more in the future because the effect is so impressive. 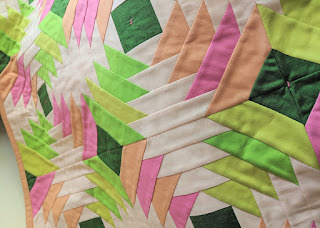 It was tricky to come up with a quilting pattern that wouldn't compete with the pattern of the piecing and that wasn't overly time consuming. In the end I remembered someone mentioning that decorative stitches could be used in place of stitches to 'tie' the quilt. I kept it very simple and did a stitch in the centre of the squares and at the corners. If it was being used at my house I would have added in a few more! The overall effect is soft and the piecing keeps the stability of the front, while the back is slightly tufted. I used another Creative Grids product as I designed the next quilt, Honey Bloom. 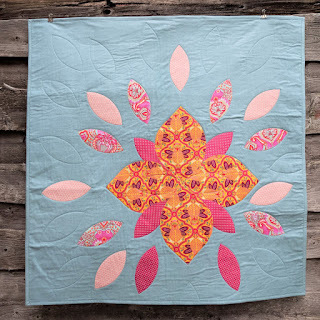 I wanted to create a large, modern floral and after using the Round Up Tool a few times and loving it, knew it was the perfect shape to make a bold but delicate quilt. 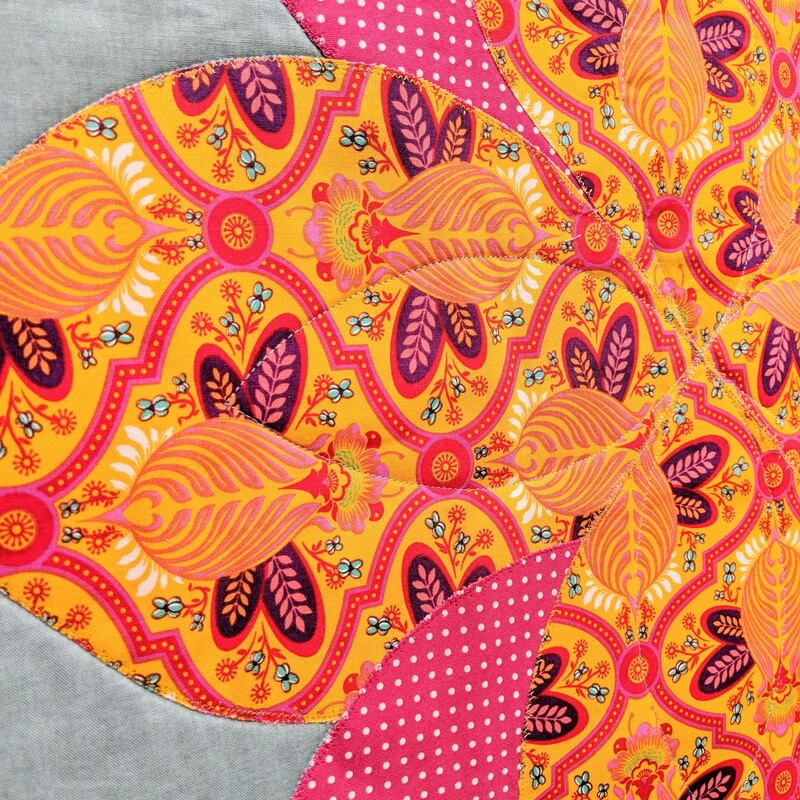 It's really easy to attach fusible web (like Bondaweb) to the back of the fabric and cut the shapes using the Round Up Tool, no tracing or scissors required. It is different working with larger pieces, they do come together quickly but it's kind of tricky to fuse the shapes on a standard ironing board (more on that in a minute!). Bigger pieces do allow you to play with repeat and fussy cuts too, though I wasn't concentrating on this when cutting. 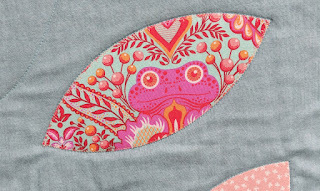 A cute frog did make it's way into a petal though! So, ironing board calamity! I laid out all the appliqué pieces on the background fabric (approx. 44" square before trimming) and pinned the pieces in place - oh and should have done this AFTER removing the paper from the back! I then had to carefully carry the top into my kitchen - where my iron and board live. It was totally fine, no problem. I fused the top pieces, one petal at a time, working down to the central bloom. Starting from the centre I fused the top half, and then as I was fusing the bottom half I realised the petals had moved (not enough pins Lucy!!) and so the pink petals were peeking out from the larger yellow ones. Now this isn't really a disaster (actually I prefer it that way) but because it was a happy accident it meant that the top part was already fused so it looks different to how I had envisioned it. If I were to make it again I would overlap each petal intentionally, which is what I did in the demonstration - and told this story then too! For quilting I used the tool again to trace the petal shapes, quilted them in the background and over the top of the large bloom. 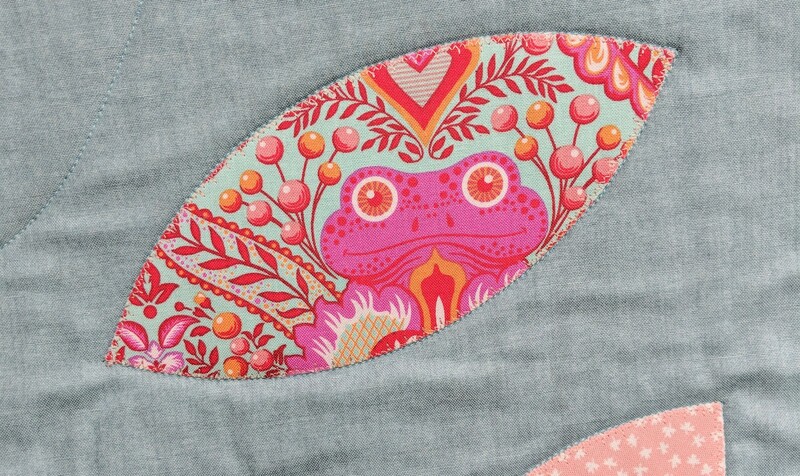 I also quilted around all the petals. 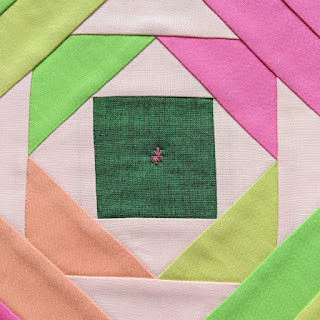 It is nice to use the same shapes that are in the quilt top in the quilting too, it has a quite minimal and pretty look. The third quilt in this round up is the Sun Spell quilt designed by Louisa Goult. Originally featured in Love Patchwork & Quilting, the pattern is English Paper Pieced and adopts the same flat back stitch I do when piecing epp shapes. Now obviously I love epp and all hand sewing but given the tight deadline it wasn't possible for me to hand stitch the pattern in time. Instead I used the templates to appliqué shapes in the same layout, not as easy as it sounds, there was quite a bit of adjusting and shifting shapes (at least I remembered to take the paper off this time and used more pins!!). It worked out in the end and I got it all fused into place. 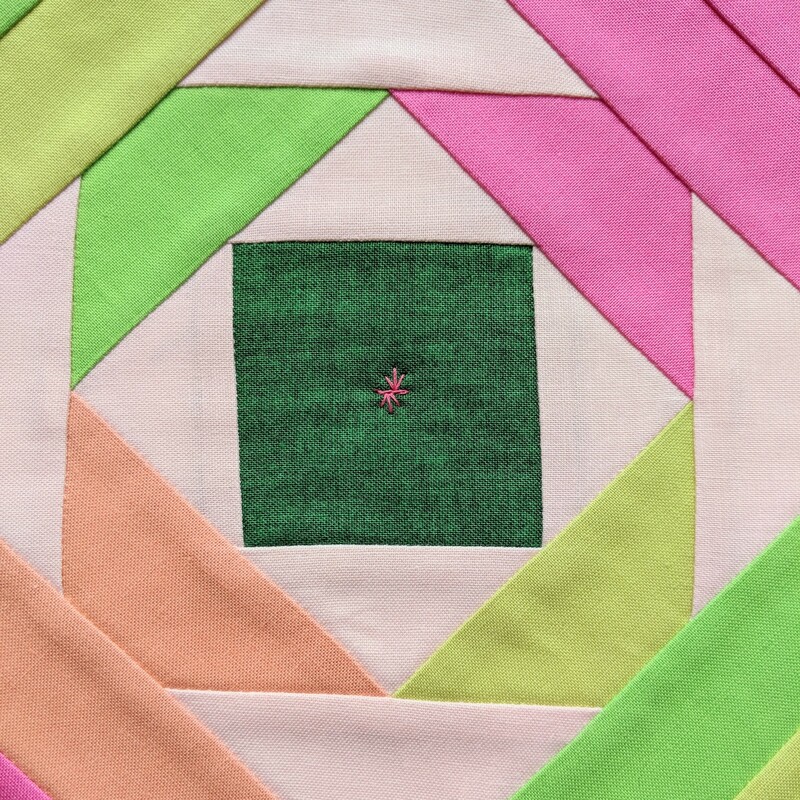 Rather than appliqué the shapes to the backing fabric, I layered up the quilt and got it basted straight away. I did top stitch around all the shapes but obviously I was actually quilting it at the same time. 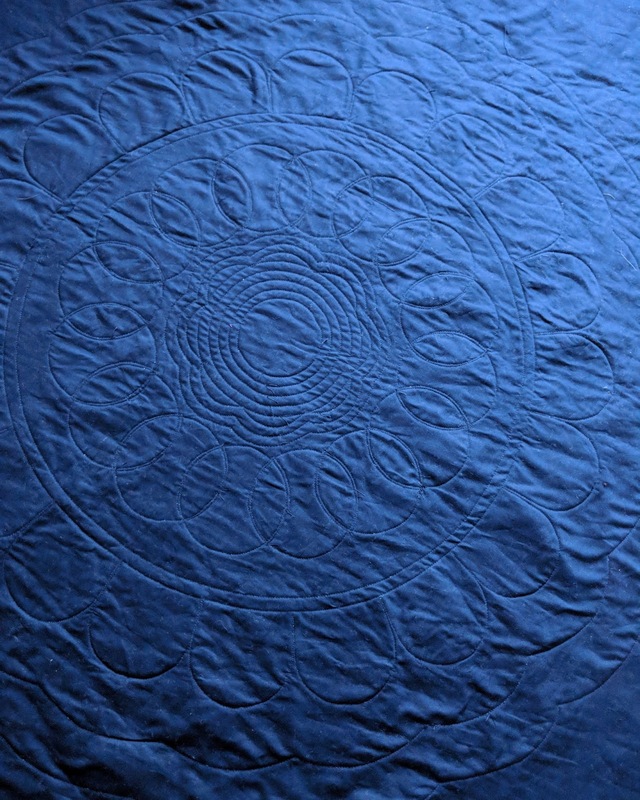 I added in some echo quilting inside the central shape and in between the rounds. 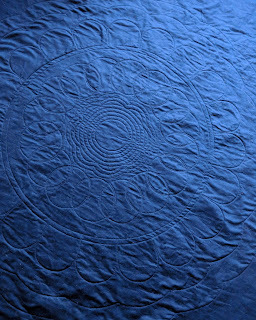 It looked pretty cool from the back too, even in the dusk light that wouldn't show it as true dark navy and emphasises each wrinkle that I created from lots of turning during quilting! Not one pucker though so it's a win! 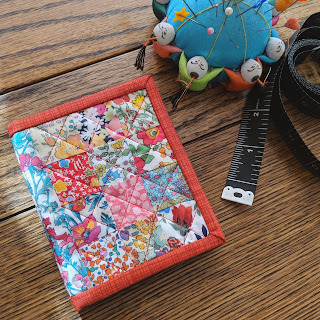 Finally I wanted to show you the needle book I made with pretty Liberty tana lawn squares using the sweet pattern by Tori Smith. It was finished with a little bit of hand sewing and I got to hand sew the binding down, something I haven't done for quite some time but so enjoy! 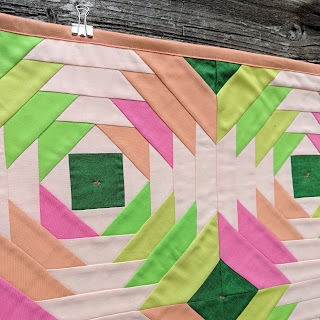 Click below to watch how I machine sew the binding, it's the easiest way I have found to make neat mitred corners that are simple to finish. Oh and feel free to rewind the video (are they called videos or is that my age?!!) if you'd like to see more of the show! The past couple of days I've been sneaking breaks from sewing to go outside and enjoy the glorious sunshine we've been having here in Manchester. It's been a lovely bank holiday weekend and just getting to spend time with my family in the garden has been brilliant. It's half term now too, my mother in law is coming for a visit and it is my Nan's 100th birthday party on Friday. It's going to be a great week! I hope the sun is shining where you are and, regardless of the weather, that you get to spend some time this week enjoying your friends and family! How delightful Lucy, all these projects. I still need to master the Pineapple Log cabin, it is my favorite of all, along with the Dahlia and Wedding Ring!!! Keep on with all the lovely projects, love from California!! Plus Chris took me to Liberty in London, and I was overwhelmed with the beautiful fabric rows, and now they are being advertised for sale in some of our catalogs!! Very pretty! I especially love the pineapple quilt! So many beautiful creations! Love the Pineapple quilt! Greetings from Greece.